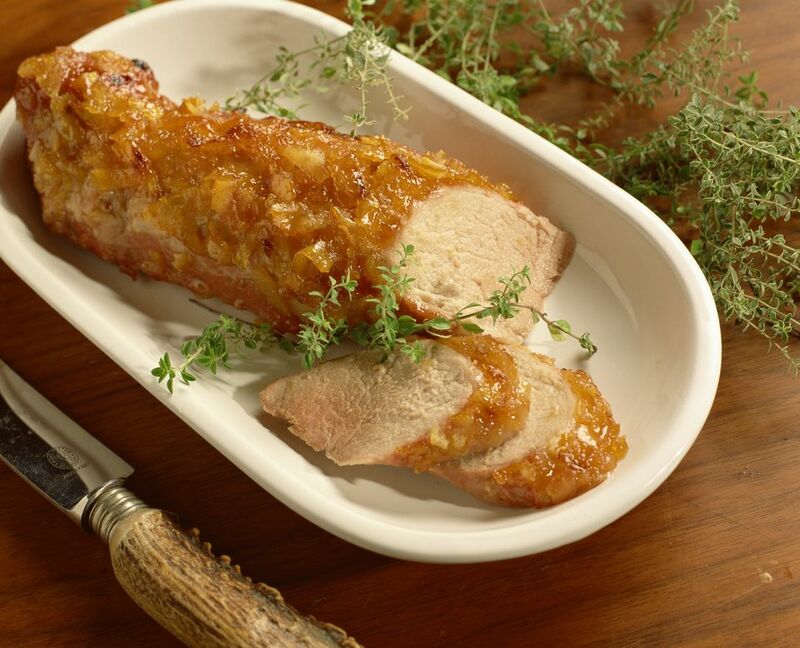 Pork tenderloin medallions are seared and then cooked with a spicy marmalade sauce. The marmalade sauce is flavored with vinegar, honey, and hot sauce, then it's simmered with pork tenderloin medallions for a tasty meal. This recipe would also work well with pork chops or cutlets. Combine the marmalade, vinegar, honey, Asian chili sauce, and a pinch of salt. Simmer until reduced by about 1/3, about 10 to 15 minutes. Cut tenderloins into 1-inch slices. Flatten slightly with the heel of your hand. Combine the flour, 1/2 teaspoon salt, and pepper in a food storage bag. Shake tenderloin medallions in the flour mixture until well coated. Heat the olive oil over medium-high heat in a large skillet. Sear tenderloin medallions for about 3 minutes on each side. Add the reduced sauce, cover the skillet, and simmer for about 15 to 20 minutes.